With a 4.6% larger outside diameter in the lower hand, the Plus4 encourages lighter grip pressure. Promoting less tension in the hands and more fluidity throughout the swing creates more power. MCC Plus4 has two uniquely formulated compounds to create the performance of two grips in one. The upper hand material is a soft compound with Brushed Cotton Cord for built-in stability. The lower hand contains a softer rubber compound ideal for enhanced feel. With 80% of global Tour players trusting Golf Pride, nobody knows their grip preferences better than Golf Pride. The majority of Tour players build up their grips to reduce tension in their hands. With less tension comes more power and the most powerful swings in the game trust Golf Pride. Now we are bringing this performance preference to you with the new MCC Plus4. 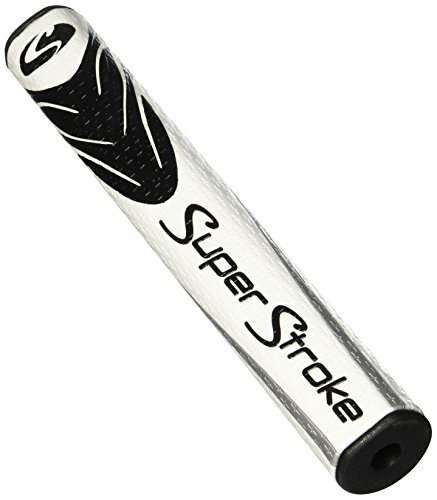 The Slim 3.0 has a 1.30" diameter and is the most popular Super Stroke model on the tour. The Slim 3.0 offers all players the benefits of their parallel technology which allows for even pressure in both hands, eliminating added tension in the wrist and forearms. This helps the arms to swing free, further enhancing a pendulum putting stroke. 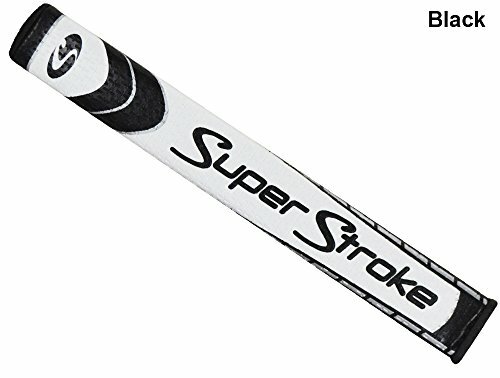 The SuperStroke Legacy putter grips are our original patented design and shapes. The oversized grips ensure even grip pressure and engage the big muscles in your stroke to minimize wrist action. The No Taper Technology has helped millions of golfers achieve a smoother, more consistent, and more reliable putting stroke. Tourney after tourney, major after major, these grips have come to redefine not only the putter grip, but putting as a whole. With a modernized look the Tour Wrap now features enhanced tackiness and an even softer material for a great new feel. This one-piece, simulated wrap grip combines the look and feel of luxury leather with the durability, economy, and performance of high-tack rubber. The Wedge Guys Multi-Material Golf Grips - Better Performance for a Better Game. Worn out or improperly fitting grips may add excessive grip tension and feel downright uncomfortable, costing you those precious 3-4 strokes every round. Regripping your golf clubs with the right grip is incredibly important, not only because of the time and money it takes to regrip your clubs, but also due to the amount it can affect your game. Wedge Guys MM Golf Grips are made with a fusion of quality materials that feel great in your hands, featuring supreme surface texture for all weather control, moisture wicking brushed cotton cord for a longer lasting consistent grip, and firm high performance rubber for a better, more responsive feel. Moisture wicking brushed cotton cord in the upper hand wicks away moisture and firm high performance rubber in the lower hand prevents slipping. Double plus sign and pebbled pattern allows for better coverage and increased control of your golf club. Ideal for customizing / replacing / regripping your wedges, drivers, irons, and more. Great gift for clubmaking enthusiasts and those looking to revamp / repair their golf clubs. Standard size M60, Core Diameter: .60 inches. Wedge Guys colored golf club grips available: Black, White, Red, or Blue. Fits most golf clubs including Aldila, Nippon, Winn, Callaway, Pride, KBS, Fujikura, Project X, Grafalloy, Aerotech, True Temper, UST, and more. As always includes our 30 Day 100% Satisfaction Money-Back Guarantee - Love it or return it for a full refund within 30 days. Wedge Guys mission is to provide quality golf supplies that every golfer needs at an affordable price. Regrip your clubs with the Wedge Guys MM Golf Grips and gain the confidence needed to score better and win big. 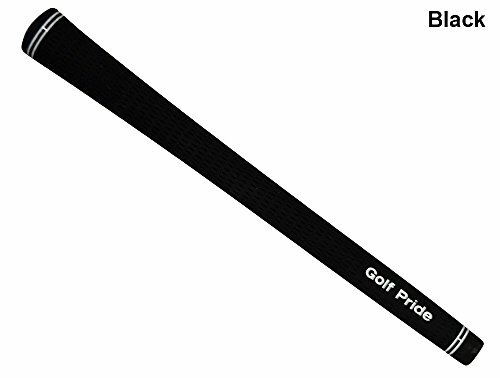 The Wedge Guys MM (Multi-Material) Performance Golf Grip is ideal for the professional or avid golfer with its supreme surface texture, responsive feel, and high performance materials. A FUSION OF MATERIALS - The Wedge Guys MM Performance Golf Club Grip was engineered with a unique combination of firm, responsive rubber and moisture wicking brushed cotton cord for maximum performance. RESPONSIVE FEEL - The moisture wicking brushed cotton cord for the upper hand and firm, high performance rubber for the lower hand of the Wedge Guys MM Golf Grip provides you with the comfort & confidence needed for better shot dispersion and shot distance. SUPREME SURFACE TEXTURE - The Wedge Guys MM Golf Grip gives you more control of your golf club with its double plus sign pattern and pebbled texture, perfect for use in any weather. GRIP SPECS - Standard Size - M60, Core Diameter: .60 inches. WEIGHT: 50 Grams. You can feel confident in replacing / regripping your wedges, drivers, irons, and more with the Wedge Guys MM Golf Club Grips, always using only the highest quality materials. Our Majek Grips are currently used in hundreds of thousands of clubs with great success. They were Co-Engineered by members of the UCLA's engineering department ensuring a state-of-the-art rubber blend compound. The advance computer design assures a non-slip surface pattern for maximum comfort, playability, and confidence. The Tour Pro Men's Grip is the benchmark upon which many club manufacturers base their designs. FASTEST GROWING GRIP ON TOUR: This innovative hybrid grip fuses the positive performance of rubber and cord for an exciting new look and feel. The MultiCompound boasts the Golf Pride exclusive black Velvet Cord in the upper hand area for firm all-weather control, and a soft rubber material in the lower hand for ultimate control and responsiveness. Authorized Dealer! Always Buy Authentic! 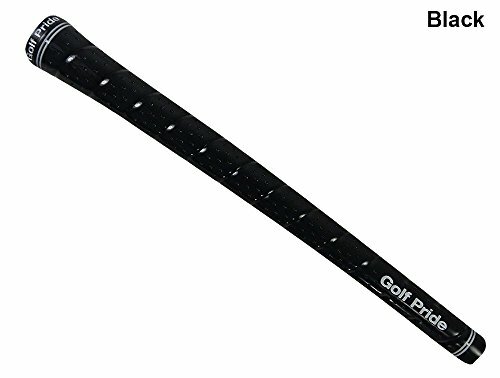 PRODUCT SPECS - Grip Size : Standard / Midsize , Core Size : 0.600" , Grip Length 10.50" , Weight : 50g / 65g .Package inlcude 13 x Champkey Multi Compound Grip 13 x Golf Professional Tapes. COTTON THREAD TECHNOLOGY - The upper half of grip is made of soft material plus Brushed Cotton thread technology.It Greatly enhances the anti-slip strength of the grip and enhances the swing effect. RESPONSIVE MATERIAL - the lower part is made of soft material for a good feel ,It can provides accurate feedback to improve your shot. MICRO-TEXTURE - The grip's soft micro-texture increases traction and comfort and combine with COTTON THREAD TECHNOLOGY forming ALL-WEATHER CONTROL performance let you enjoy golf easily in any condition. SERVICE - Champkey Backed by 100% Money back Guarantee, this is totally risk-free buy.Please reference the product description get the More Guarantee Details ! The newest size in the SuperStroke line-up, the Mid Slim 2.0 came from the PGA players requesting a size between the Ultra Slim 1.0 and the Tour-favorite Slim 3.0. The Mid Slim 2.0 is currently in-play on the PGA Tour with its demand increasing at each Tour event. With over 125 PGA Tour players having used SuperStroke technology, our patented grips help the world's best play better every week. The proof: Over 100 million won on Tour. Our parallel technology allows for even pressure in both hands, eliminating added tensions in the wrist and forearms. This helps the arms to swing free, further enhancing a pendulum putting stroke. Starting with a light-weight foam under listing, we have added a new high-tech PU material, featuring Cross Traction technology, for improved fee and tackiness. USGA approved, 1.20" diameter, 10.50" length, 50grams+/-5 and a.580 round core. Quality and Versatile Counterbalance Putter Grip Helps you execute a perfect putting stroke to a tee! If you're looking for a putter grip that offers you great flexibility, this Arm Lock RX Series Putter Grip is a must-have! Made from quality materials that won't fail you. Sports a clean, professional look to complement your style. Gives you a lighter head feel with its 160-gram weight well-distributed across its body with the feeling or a large grip. Has extended length compared to the standard 10.5-inch putter grip. Is a competitively-priced professional golf gear. Make this awesome counterbalance putter grip a part of your arsenal today and be ready to wow the crowd with your putting stroke! The midsize PP58 cord rubber grip is designed to keep the wrists firm and to ensure a stable stroke for improved accuracy and consistency. Cord construction provides a textured feel and slip resistance for enhanced traction in all conditions. With over 125 PGA Tour players having used SuperStroke technology, our patented grips help the world's best play better every week. The proof: Over 100 million won on Tour. Our parallel technology allows for even pressure in both hands, eliminating added tensions in the wrist and forearms. This helps the arms to swing free, further enhancing a pendulum putting stroke. Starting with a light-weight foam under listing, we have added a new high-tech PU material, featuring Cross Traction technology, for improved fee and tackiness. USGA approved, 1.67" diameter, 10.50" length, 90grams+/-5 and a.580 round core. 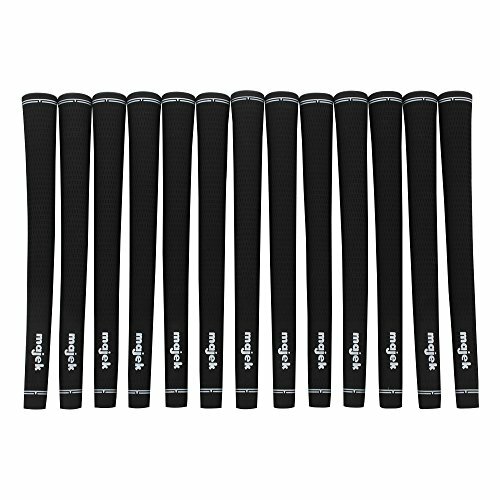 The Wedge Guys Pro Velvet Golf Grips - All-Weather Non-Slip Performance for a Better Game. 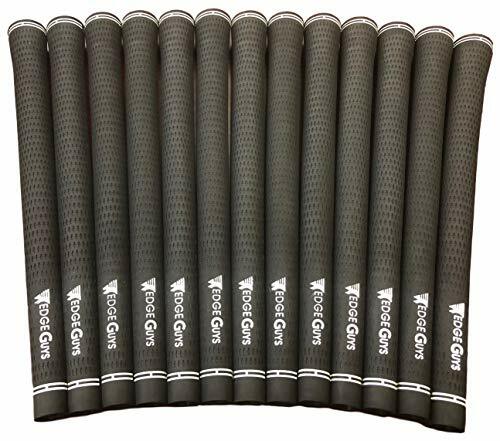 Wedge Guys Pro Velvet Golf Grips are made with compound rubbers that feel great in your hands, featuring a plus sign texture for all weather control and high performance rubber with balanced feedback for a better, more responsive feel. Plus sign pattern allows for more non-slip coverage, pulls moisture away and increases the control of your golf club. Compound rubber blend provides you with balanced feedback. Regrip your clubs with the Wedge Guys Pro Velvet Golf Grips for a more comfortable, balanced game. 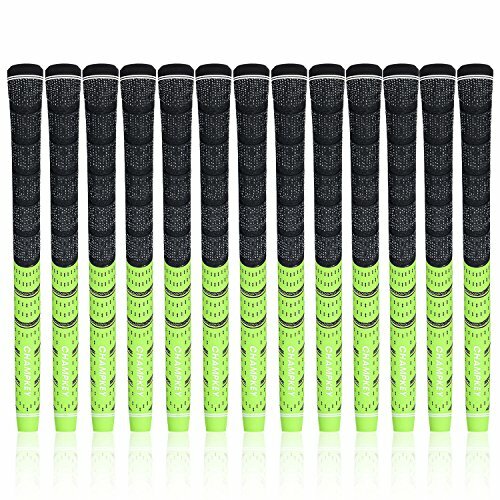 The Wedge Guys Pro Velvet Golf Grip is the gold standard for professional and avid golfers alike with its comfortable non-slip grip, balanced feedback, and all-weather performance materials. A FUSION OF MATERIALS - The Wedge Guys Pro Velvet Golf Club Grip was engineered with a unique rubber compound blend for a non-slip grip great in all weather conditions. BALANCED FEEL - The rubber compound blend of the Wedge Guys Pro Velvet Golf Grip provides you with more comfortable, balanced feedback. 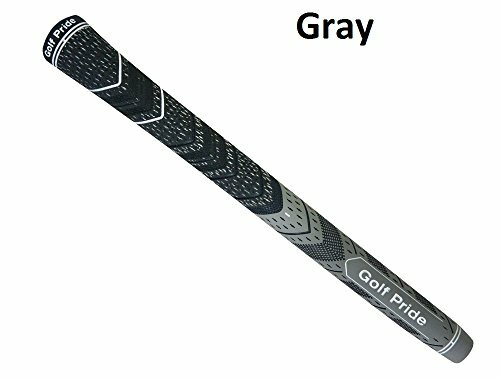 INCREASED SURFACE TEXTURE - The plus sign pattern of the Wedge Guys Pro Velvet Golf Grip gives you more control of your golf club and is specially designed to pull away moisture from the grip for better traction. 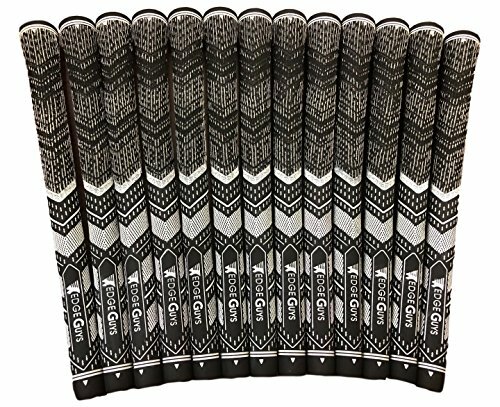 The most popular grip in golf today combines an exclusive, state-of-the-art rubber-blend compound, non-slip surface pattern for maximum playability, comfort, and confidence. The Tour Velvet is the standard upon which many club manufacturers base their grip designs.